I handle a wide variety of traffic tickets and misdemeanor charges. Begin your defense by clicking the type of charge you’re facing. 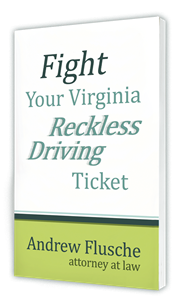 It’s not just a ticket; it’s a misdemeanor offense. I fight to have the charge dismissed or at least reduced to a minor ticket. Choose the right lawyer to fight your driving under the influence charge. If convicted, I also help you overcome the punishments. You may be facing jail time for your driving on a suspended charge, but the right strategy might beat the charge. Friends don’t let friends pre-pay their traffic tickets. I might be able to have your case completely dismissed. Possession convictions suspend your license. Together, let’s beat the charge, or have it dismissed, and save your license. Shoplifting convictions can make job hunting difficult, and you might be facing jail time. I fight to avoid a shoplifting conviction. I defend a wide variety of other misdemeanor charges, such as assault and battery, animal noise complaints, no driver’s license, etc.